Do you know what the real business costs of your legacy system are? 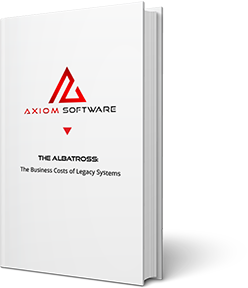 This FREE, easy-to-use ebook from Axiom Software will help you figure out what’s at risk, what the cost of your dated systems are, and how to find the right time to upgrade. Download your FREE ebook today and make sure your business is ready for the future – not locked in the past.